Well, this one doesn’t seem to be a joke. 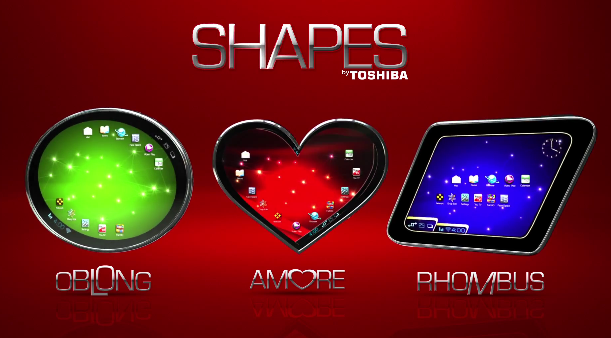 Toshiba has introduced a line of unusually looking tablets, dubbed “Shapes” that come in various forms and shapes. The Shapes line of tablets is Toshiba’s attempt to create a new and exclusive line of tablets designed to match your personality and style. Don’t let technology threaten your individuality! The Shapes line comes in three models – the Oblong that is “technology that’s come full circle”, the Rhombus that is “more that just a convex quadrilateral” and the Amore, which stands for “This heart you can play with”. Unfortunately Toshiba must have gotten so excited about the unusual shape of the slates that the Japanese company forgot to share any specs of the devices. Market availability is also unknown. 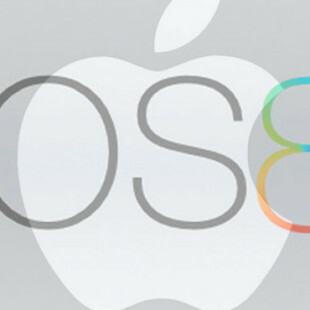 Let’s hope this isn’t just another April 1 joke.